Fruity Baked Oatmeal | A Bit of Nutmeg! In a large bowl, combine the oats, brown sugar, baking powder, salt and cinnamon. Combine the egg, milk and butter; add to the dry ingredients. Stir in the peaches and blueberries. Pour into a greased glass loaf pan. Bake, uncovered, at 350° for 45 minutes or until a knife inserted near the center comes out clean. 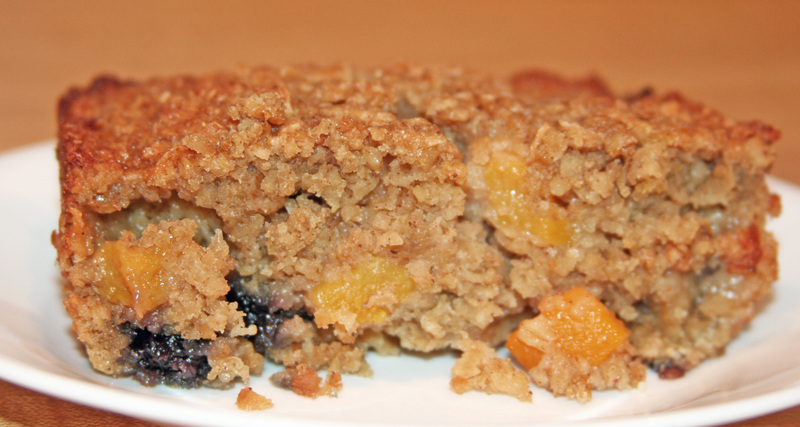 *Substitute the peaches and blueberries for apples and raisins and double the cinnamon!